Grant Hall says he broke down in tears in front of Les Ferdinand and QPR boss Steve McClaren as he struggled to come to terms with a serious knee injury. The defender was sidelined for almost two years with the injury and has recently won back his place in QPR's starting line-up. 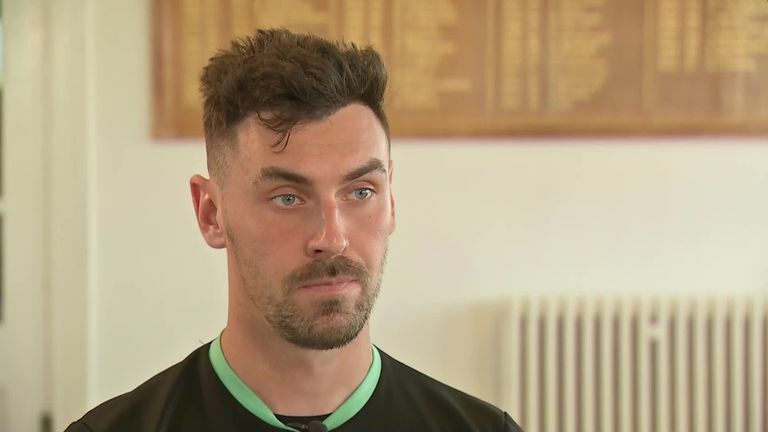 Hall's fitness issues took a huge toll on his mental health, and the defender says his reaction in front of Ferdinand and McClaren was when he realised he needed to seek professional help. "I actually went to speak to Les Ferdinand in his office. The gaffer was there, Steve McLaren, as well," Hall told Sky Sports News. "I broke down in his office in tears. I couldn't speak, I couldn't get my words out, and that was when we all knew I needed help. I needed to speak to someone. "It's probably the perfect thing to happen. I'm not ashamed that it happened in front of Les Ferdinand and the gaffer." Hall says he shunned football and turned to alcohol to try to cope with depression triggered by his injury. "When I was on my own was when I was at my worst. I had to be around people," he said. "I had to stay away from football. I couldn't be around watching the boys, I couldn't be at games. There were points where I didn't even want to talk about football. I wanted to stay away from it. "I was with my mates a lot, I probably went out four, five, six weeks in a row drinking. It was just a release to get away from football. "I don't drink at all, really. I went out those five weeks just to try and get my head away from thinking about football and the injury. "I knew it wasn't right but my friends thought I was okay because obviously I was having a good time - but I really wasn't, that was just literally a release for me. I was depressed and didn't really know where to turn at the time."